Topic: Anyone know of goth/industrial music on playa this year? Re: Anyone know of goth/industrial music on playa this year? 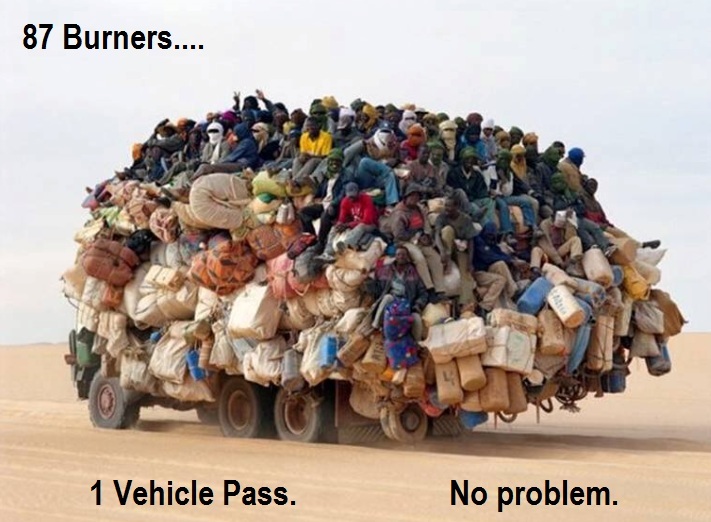 Doh, just saw this post a month after the event. Topic: Planet Earth 2015 has been placed! Planet Earth 2015 has been placed! Topic: Planet Earth...Back in 2014! Re: Planet Earth...Back in 2014! Planet Earth 2014 has been placed! You can find us at 4:45 and Esplanade this year. See you soon! This year Planet Earth has asked to be on the 3:00 side (4:30 Esp/Portal area) to help spread the awesome over there. Topic: What do the sound restrictions really mean? Re: What do the sound restrictions really mean? Looks like a cool theme for this year, I like it. But from the description on the website... it looks like.... no man base? A year after the most awesome man base ever, we're gonna go all 90s style now? Confused. Topic: Kinda late this year? Re: Kinda late this year? 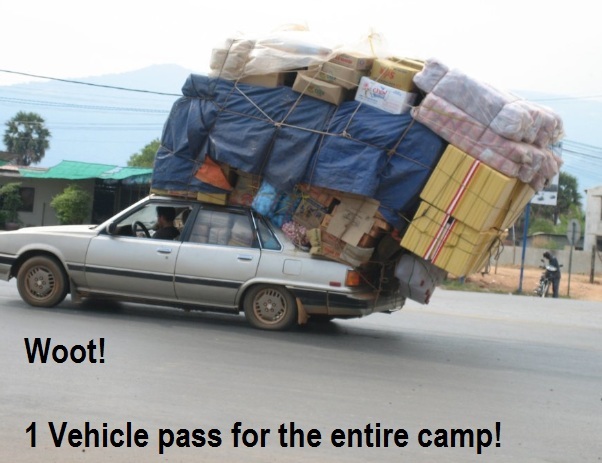 Dactylion wrote: I heard it on good authority that Larry is driving out to Gerlach right now with a big sign that he's going to hold up in front of the webcam! That would indeed be an Epic way to do it. Huzzah! I heard on Good AuthoriTAY that it would be announced today at Noon. Then I heard it on another Good AuthoriTAY that it would be announced today at 3pm. Latest rumor is the announcement will be made as we arrive on the playa next summer. last year the theme was announced on Nov 30th, previous years, typically between Decom and Thanksgiving, we're pushing into 2014. Is something amiss? My guess is it must be related to that nutbag judge trying to put a kibosh on the Pershing County deal, what's your theory? 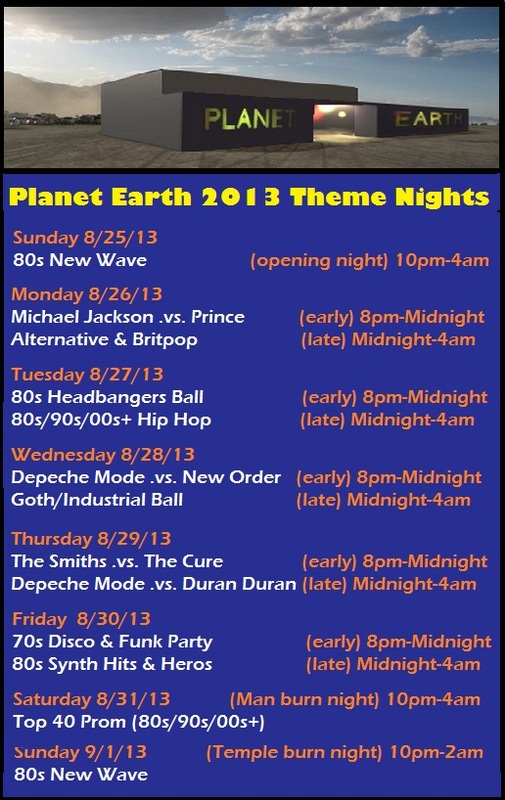 Planet Earth, Black Rock Citys indoor 80s nightclub returns to the playa in 2013, we'll be on the Esplanade at 7:15 and Esplanade, here's our lineup for this year. See you in a few weeks! 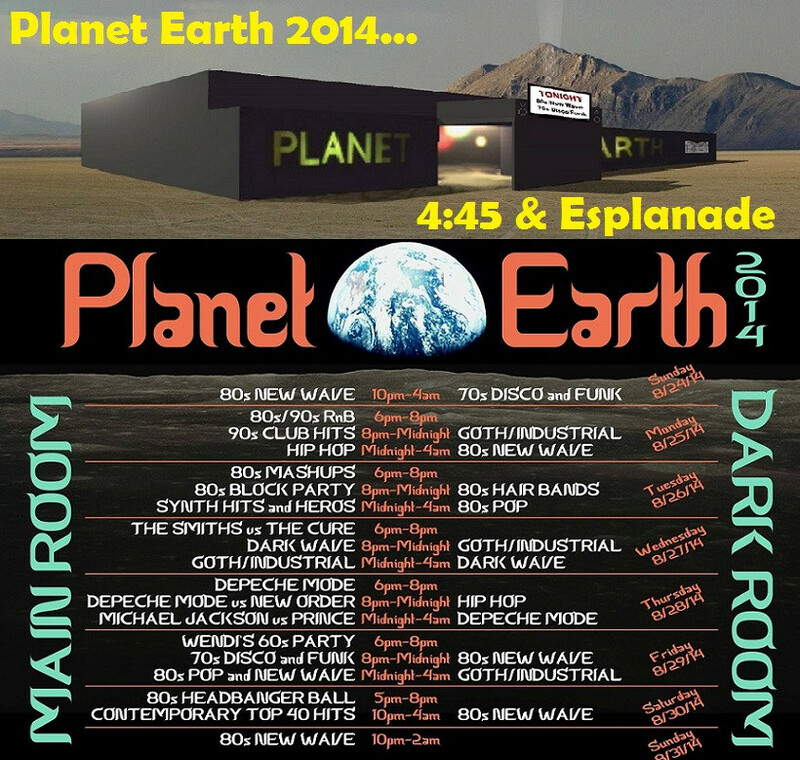 Planet Earth, Black Rock Cities 80s indoor nightclub has been placed! 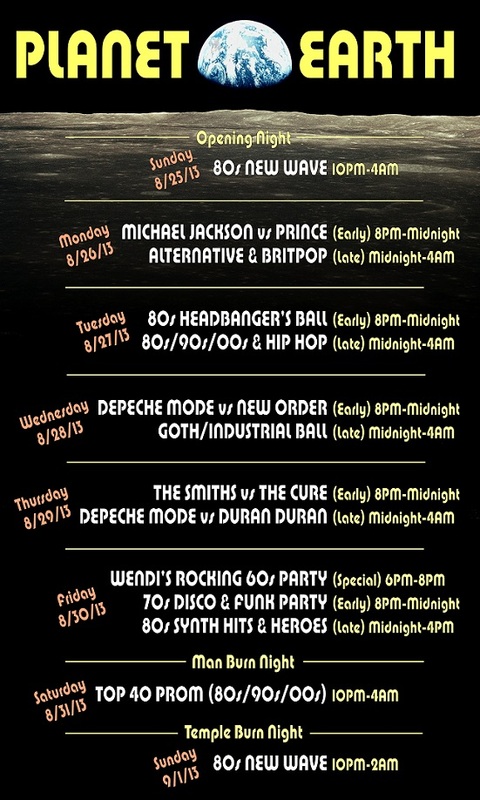 Come join us every night from 8pm to 4am at 7:15 and Esplanade as we play all the top hits and videos of the 80s with two themes per night. Topic: The Return of Planet Earth! Re: The Return of Planet Earth! Anyone know when, or where, to submit events for this years (W)ho, (W)hat, (W)here, (W)hen ? Topic: I just turned 21, which playa bars are the best? Re: I just turned 21, which playa bars are the best? For the first time ever Planet Earth will have a bar and lounge in 2013. The whole camp is changing from an open air, on the playa dance camp to an indoor, off the playa, 80s new wave nightclub. So... if that kinda thing is your scene, drop on by! Hey Rhino, I'm afraid Southern Fried Rock isn't really what we do. I suppose the closest we come to that will be our "Head Bangers Ball" on Tuesday night, but thats not really Southern Rock, more like 80s hair band rock. Most of the time though we play a lot of New Wave, Synth, Dark Wave, & 80s Pop.